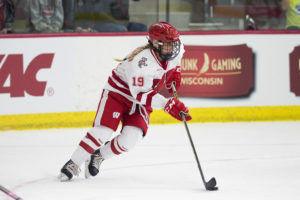 The Wisconsin Women’s Hockey team has announced it will play its opening series of the season against Lindenwood at LaBahn Arena in Madison, rather than at Lindenwood. The series is scheduled for the weekend of September 28-30, and was to be played in Wentzville, Missouri, but is being moved to Madison due to scheduling conflicts at Lindenwood. Former Wisconsin point guard Bronson Koenig has signed a training camp contract with the Chicago Bulls. 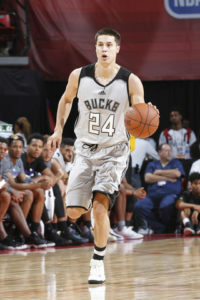 Koenig was released by the Milwaukee Bucks last week after signing a two-way deal in July. Koenig averaged 5.2 points on 29% shooting over 15.8 minutes a game during the Bucks five-game Las Vegas Summer League stint. In Chicago, Koenig will get the chance to battle for two roster spots with six other players that are also on non-guaranteed contracts. 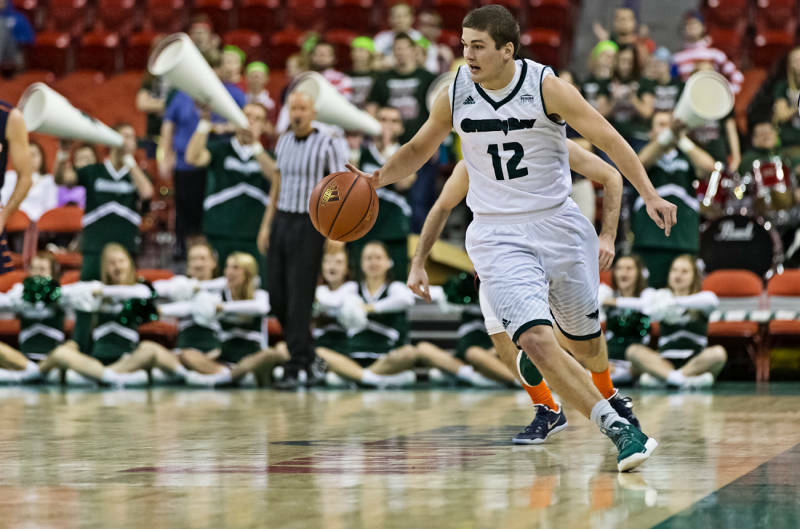 In 36 games with the Badgers last season, Koenig averaged 14.5 points a game and hit a school-record 103 three-pointers. 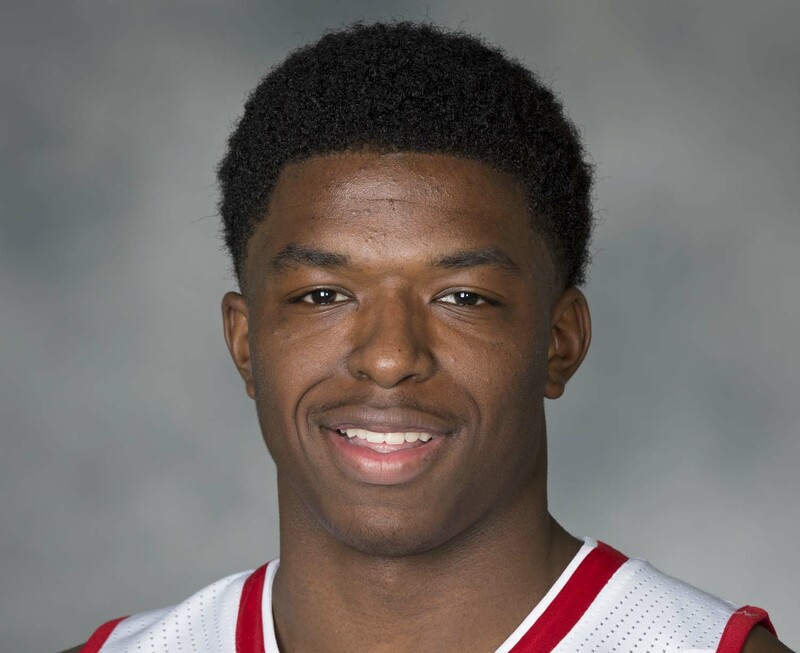 As a Badger, he also played in two Final Fours, including the 2015 National title game. The Wisconsin Badgers will open the 2017 college football season ranked 9th in the country in the Associated Press Top 25 preseason poll. The Badgers rank number-10 in the Amway coaches poll, which was released earlier this month. 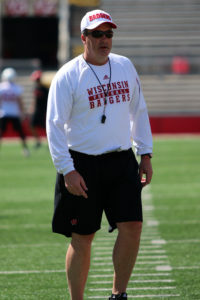 The last time Wisconsin opened the season as a consensus top-10 team was Bret Bielema’s second season as head coach in 2007. A total of four Big Ten Teams are ranked in the top 25. Ohio State is ranked number-2, behind top ranked Alabama. Penn State is sixth, followed by Wisconsin at number-9 and Michigan at number-11. The Badgers finished last season at number-9 in both polls last season after their Cotton Bowl victory over Western Michigan. The Badgers will open the season Friday, Sept. 1 against Utah State at Camp Randall Stadium. They won’t face Ohio State or Penn State and will host Michigan on Nov. 18 in Madison. 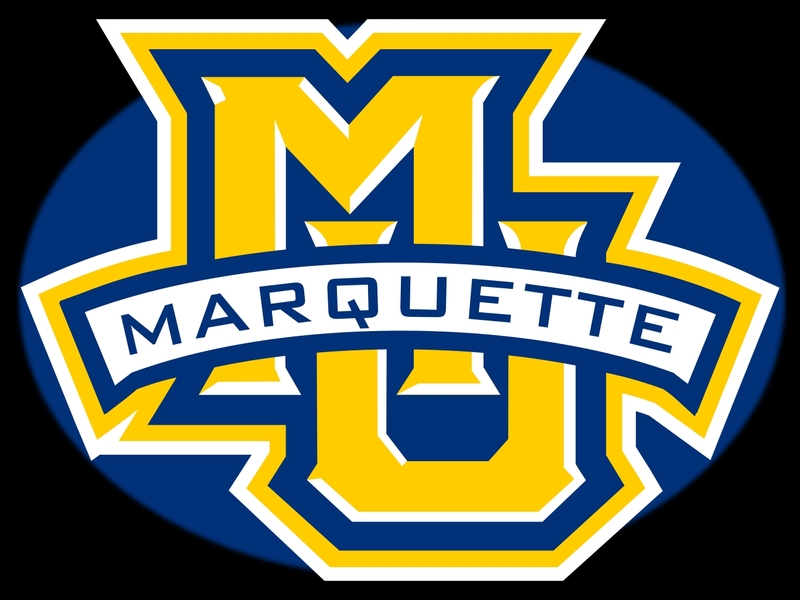 The Marquette men’s basketball team has released its full non-conference schedule for 2017-’18. The Golden Eagles will play eight home games, take a trip to Hawaii for the Maui Invitational and play a lone road game in Madison against the Badgers on December 9. 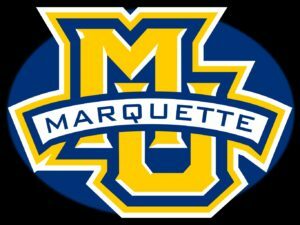 Marquette opens up on Nov. 4 against Lindenwood at the Bradley Center. Lindenwood is a division 2 program out of Missouri. The Golden Eagles will host Big Ten regular-season champion Purdue on Nov. 14 as part of the third-annual Gavitt Games featuring matchups between the Big East and the Big Ten. Marquette follows that matchup with three games in three days in the Maui Invitational from Nov. 20-22. The Golden Eagles don’t know their opponents yet, but the field includes LSU, California, Notre Dame, Michigan, VCU, Wichita State and the host team Chaminade. Marquette will also host Georgia on Dec. 2 and Vermont on Dec. 5. Marquette will wrap up non-conference play at home against Northern Illinois on Dec. 18 and American on Dec. 21. 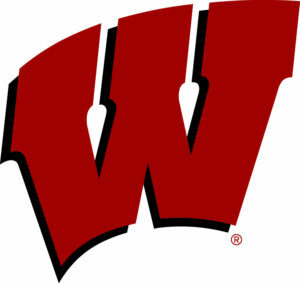 Wisconsin head basketball coach Greg Gard announced Wednesday that sophomore transfer Trevor Anderson and freshman Walt McGrory have been admitted to the University of Wisconsin and will walk on to the men’s basketball team. The duo joins freshmen Brad Davison (Maple Grove, MN), Kobe King (La Crosse, WI) and Nathan Reuvers (Lakeville, MN) to give the Badgers five newcomers for the 2017-18 season. 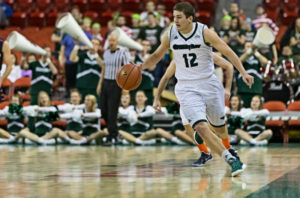 Anderson (Stevens Point, WI) transferred to UW after playing one season at Green Bay. During his freshman campaign, Anderson started the first 20 games of the season before a back injury sidelined him for the rest of the year. He averaged 9.8 points, 2.9 rebounds and 2.7 assists per game with the Phoenix, shooting 40% from the field and 37.6% from 3-point range. 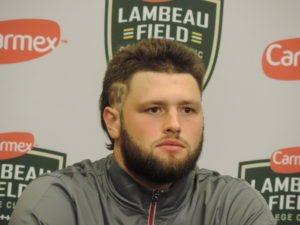 From Wisconsin Rapids to the Wisconsin Badgers and now to the Green Bay Packers, the cheesehead dreams of Vince Biegel became a realization on Saturday. The Packers selected the former UW outside linebacker with the first pick of the fourth round (No. 108 overall). The 6’3″, 246-pound Biegel completes the trifecta of playing football at every level possible within the state of Wisconsin, an accomplishment he says has been a tremendous opportunity. Biegel battled a foot injury during his senior season in Madison, but was a three-year starter with 191 career tackles and 21.5 sacks. Known for his pass rushing prowess, the second team All-Big Ten selection has also proven to be a disruptive stopper against the run. The Wisconsin Badgers (20-3, 9-1 Big Ten) moved up four spots to number-five in the Amway Coaches Poll and three spots from 10th to seventh in the Associated Press Top 25 Poll on Monday. The Badgers have won seven straight and 16 of their last 17 and will travel to Nebraska to face the Cornhuskers (10-13, 4-7) on Thursday night. 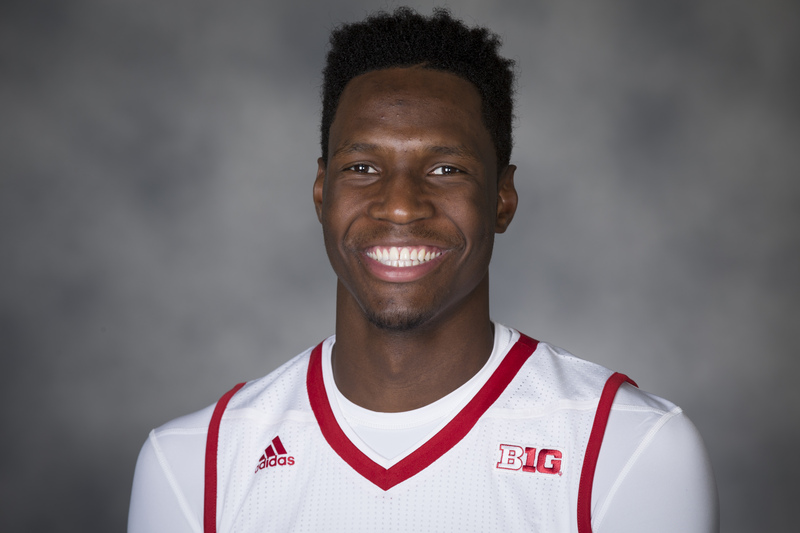 Nebraska has lost seven of their last eight games. 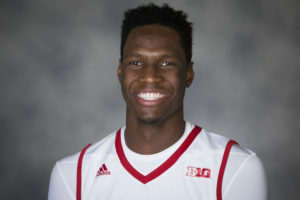 Wisconsin forward Nigel Hayes said Sunday as they rise in the rankings, the bulls-eye gets bigger. The Badgers are one of three teams in the To 25. Purdue is 16th in the AP poll and 18th in the Coaches poll. Maryland is 21st in the AP poll and 22nd in the Coaches poll.